Biography: After studying social anthropology at LSE, Andrew enrolled at Westminster Kingsway College to study catering on a whim. Little did he know that this would become a turning point, with food taking over his entire life for the next 13 years through his passion and hard work. After stints in kitchens across London, Andrew decided to travel around China, moving from kitchen to kitchen - from a noodle stand in Chengdu to the Millennium Hotel in Qingdoa. Upon returning to London, he opened restaurant A.WONG to rave reviews from the Evening Standard, Guardian, Independent andTimes. Just nine months after opening, the restaurant's modern exploration of regional Chinese cuisine has already resulted in it being rated as one of the best Chinese restaurants in the UK by The Good Food Guide, as well as recently winning a coveted Bib Gourmand in the 2014 Michelin guide. Andrew does regular cooking demonstrations across primary schools in London as part of the Ming ai Chinese cultural project, as well as doing some noodle-pulling demonstrations for the BBC. 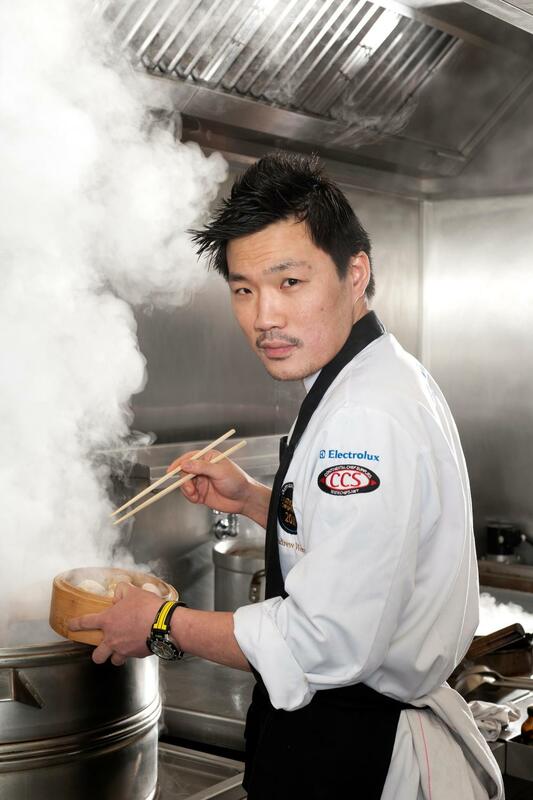 He also won Chinese Masterchef in the UK in 2013. Visit the A. WONG website. Reinventing modern British Chinese cookery, this is a book full of Andrew's extraordinary dim sum, exceptional street food and unexpected dishes from across China.